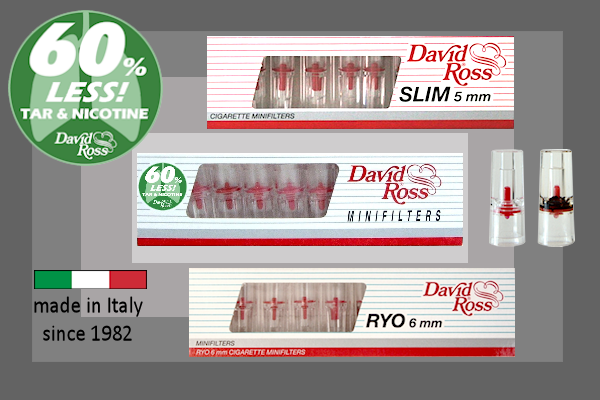 Cigarette minifilters take off ±60% of the tar and nicotine. They are made in Italy since 1982 and exported in many countries around the world. ©2012 • David Ross International s.r.l.